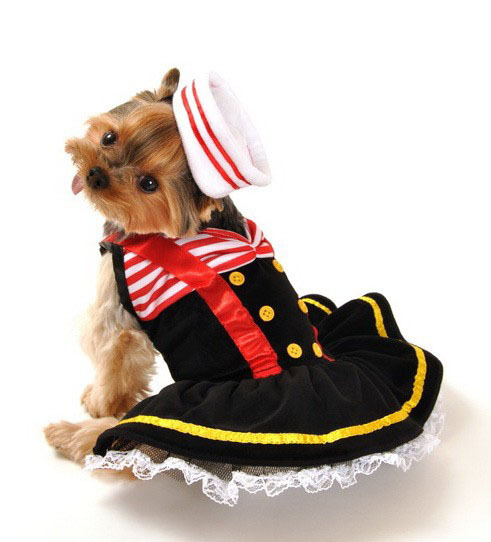 Two piece sweetheart sailor girl halloween costume for dogs, includes lace petticoat dress with sweetheart neckline, red suspenders, and a matching adjustable drawstring sailor's hat! Easy to wear pull on design. Your pet can wear the same great costume with the same great quality you'd find for people. Its a comfortable costume that your pet will like to wear. To be sure you are getting the correct size, please refer to the size chart.